How to convert SVG to JPEG in batches? 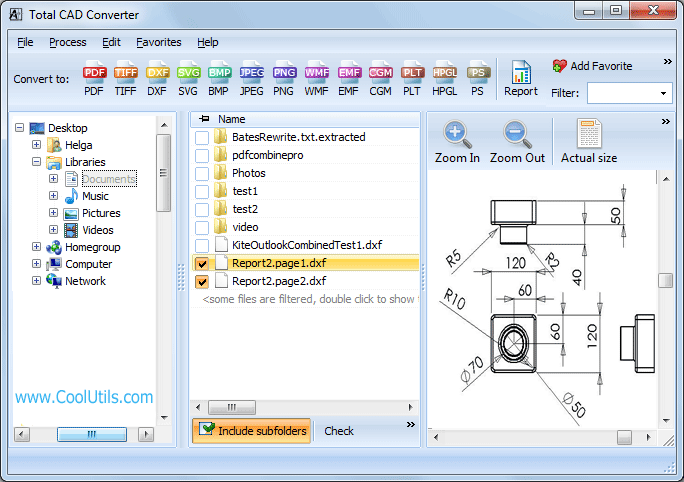 You are here: CoolUtils > Total CAD Converter > How to convert SVG to JPEG in batches? Many users have a need to create simple image copies of SVG files. One of the best variants is converting SVG to JPEG. JPEG is the most popular image format, suitable for sharing graphics online or storing locally. It is efficient in size, providing good compression quality. If you need a flexible utility that can convert SVG to JPEG in batch, there is no better solution than Total CAD Converter. Its batch mode is capable of processing all required SVG sources at once, speeding up a few hours process to a few minutes. The parameters you set are applied for all SVG sources from the batch. To run SVG JPEG converter mode you only need to form SVG sources batch and press JPEG button from the format bar. 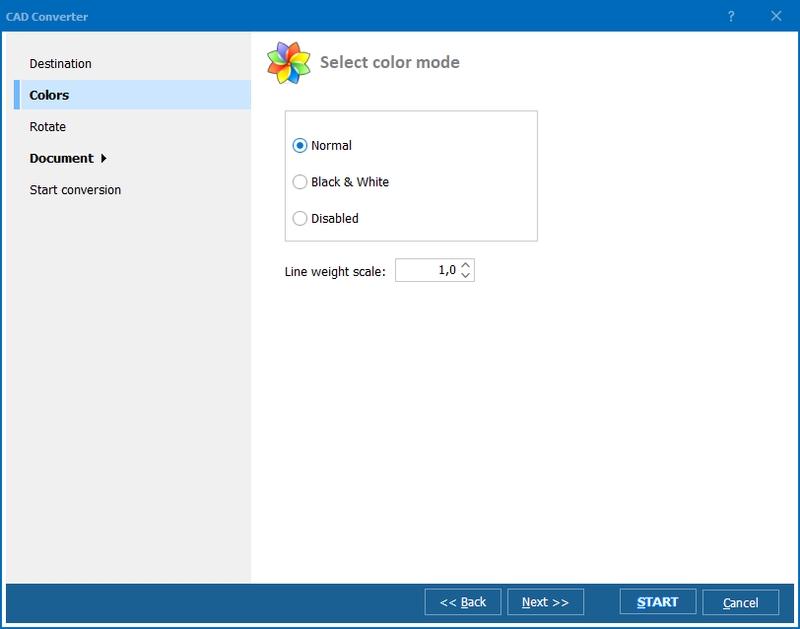 The settings window will automatically pop up, you can set all conversion parameters you need there. If you don’t need to resize or rotate original images, just skip these inlays, not changing anything. JPEG Quality inlay allows adjusting size-quality ratio for your needs. If you need lossless image quality, set the Quality slider to 100 (maximum value) and Smoothing slider to 0. You will get JPEG copies with best possible quality and maximal size. To reduce size of the future images, set quality parameter to less value, but remember it will worsen the image quality. 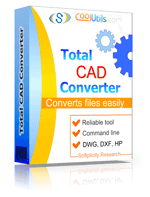 Total CAD Converter can be also launched from the command line, if you prefer to run conversions in a background mode. 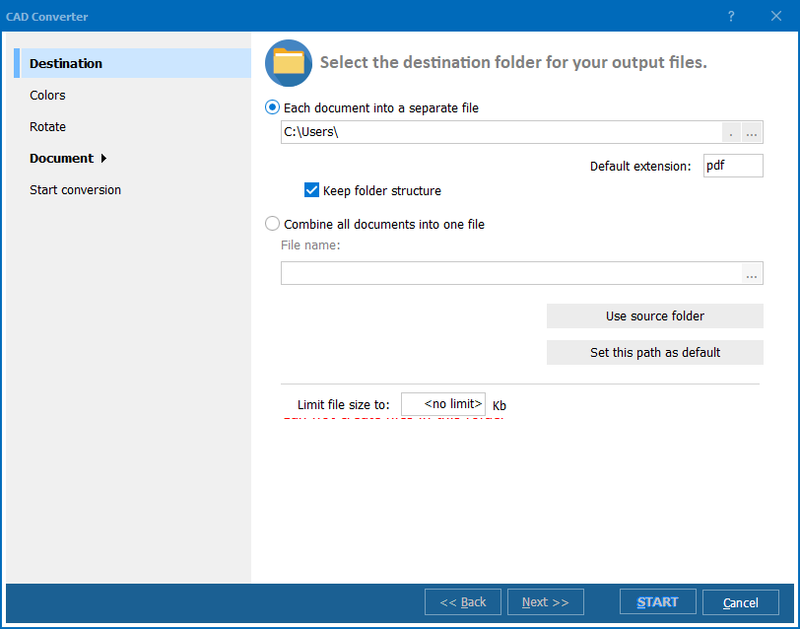 You are welcome to download CAD converter in 30-days free trial. This will give you ability to try it in action, revise all offered facilities. Then you can upgrade to a licensed version without reinstallation.